I am the type of person who gets very set in her ways; I literally eat the same breakfast - oatmeal with peanut butter and dried blueberries - and lunch - greek yogurt parfait with strawberries and blueberries - every. Single. Day. I don't get tired of it, and usually I end up eating the same dinner on most days, which is either quinoa or rice, edamame or some other type of veggie, and fake chicken (which is so delicious, let me tell you). Beauty products are no different; once I find something that I like, I tend to use it for years and never switch. I don't think this is necessarily a bad thing, especially since I have such sensitive skin, but it's something that I've noticed lately! I mean, if it ain't broke why fix it, right? 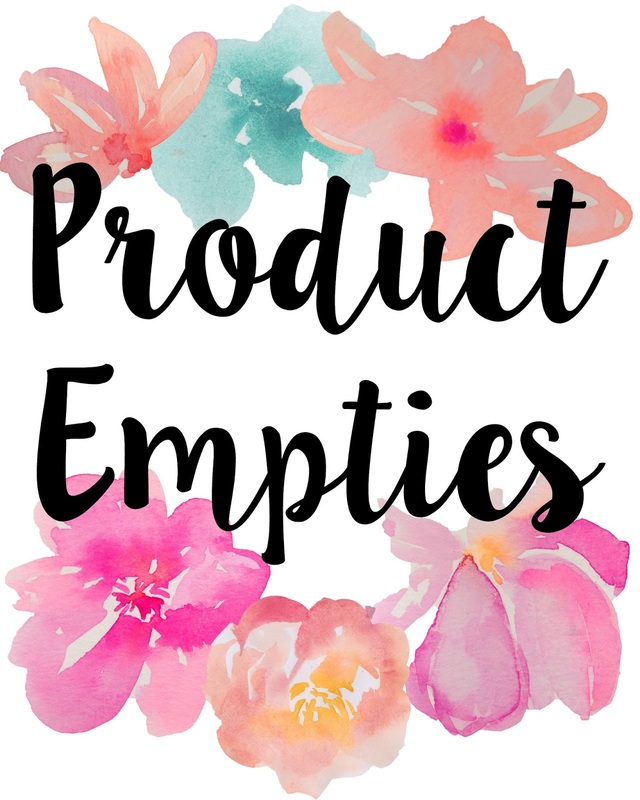 As I've been running out of a lot of my favorite products lately, I decided to keep the empty containers so I could do my first empties post and video! 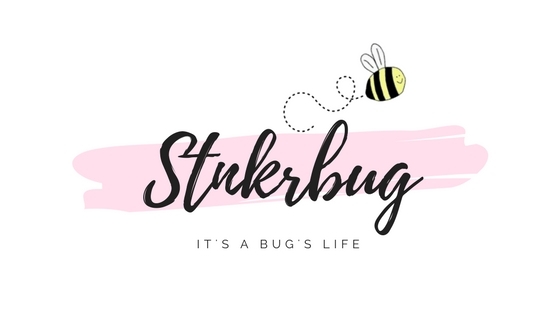 I've seen so many other bloggers and YouTubers do these, and I love watching them, so I thought it would be a lot of fun to do them for myself. 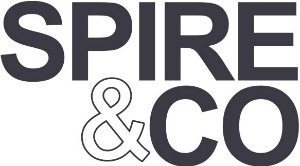 I adore all of these products - except for one, which we will get into a little later in this post - so I have a lot to say about them! Make sure and check out the video I did on this, too! I have used this face moisturizer for a long time, we're talking like two years. 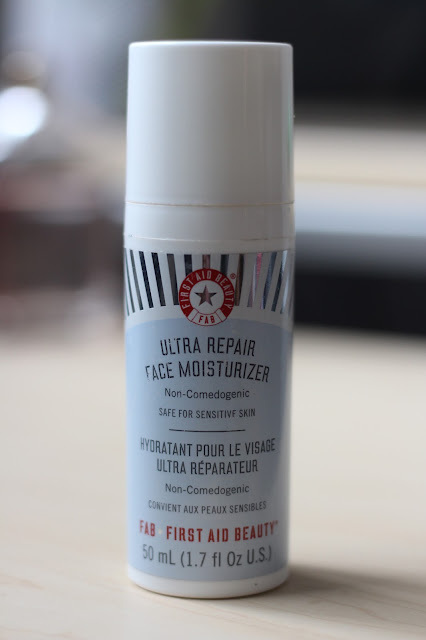 First Aid Beauty used to have just a daily face moisturizer, which I actually liked better than this ultra repair one, but they got rid of it a couple of months ago, and I don't really know why. It was the perfect amount of moisture for my skin, and this one, I've found, is a little too much for my skin. Due to that, I decided to get a different face lotion since I've used this one forever, and also because I felt like my face needed something different. I told you guys about this body lotion in my Keratosis Pilaris post, and I love it so much! It really helps with my KP, and it's just generally a really great moisturizer. It doesn't have a smell, which is also really nice for my sensitive skin. I use it right after I get out of the shower, all over my body, and I'm good to go for the rest of the day. 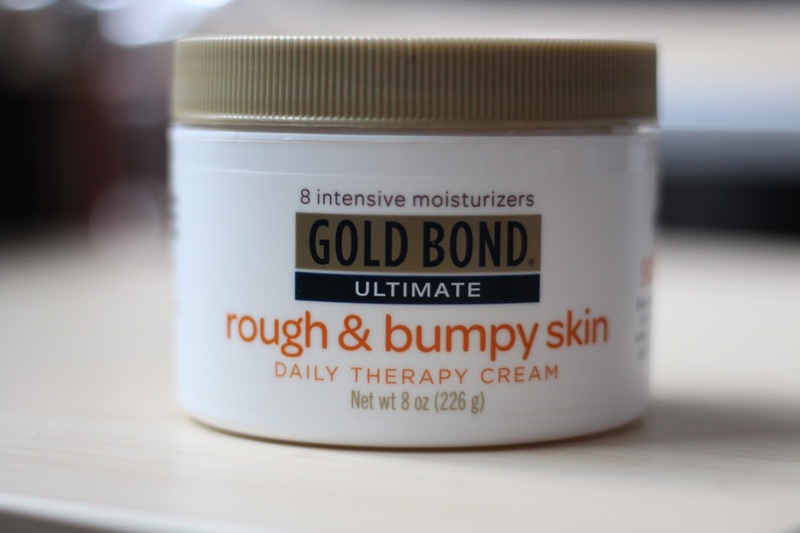 Even though it's meant to help KP, it's also a really great lotion for your whole body. This has been my go-to B.B. cream for at least a year now! It works really great with my skin, and has a very slight shimmer that gives my skin a nice glow. 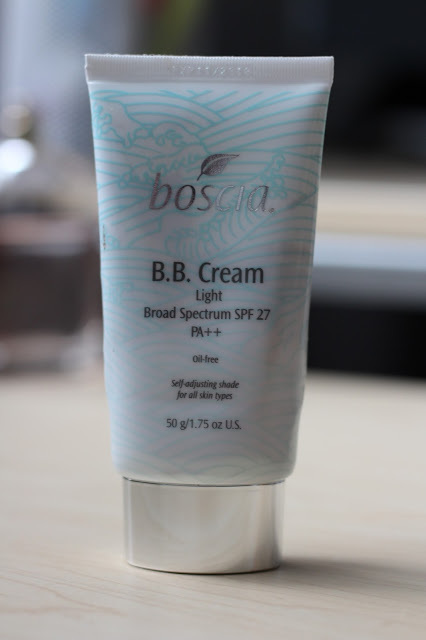 It also has SPF 27 which is great to have in order to protect your skin from the sun! I don't know how much I actually buy into the whole "self-adjusting shade for all skin types" selling point, but the color does match my skin, regardless. It blends in really nicely, and provides a great base for the rest of my makeup, like concealer and bronzer. Okay, this stuff smells amazing, to the point where I want to bottle up the scent and use it as my perfume. It's really great for the ends of my hair, which is good since that's what it's actually meant to be used for haha. I use about a dime size pump of the cream and put it into the ends of my hair on the days that I wash it - which is every other day. 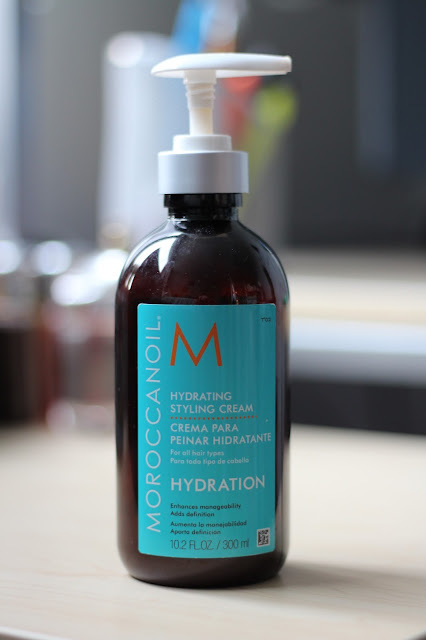 This helps keep the ends of my hair healthy and moisturized, two things that are very important since I color my hair. 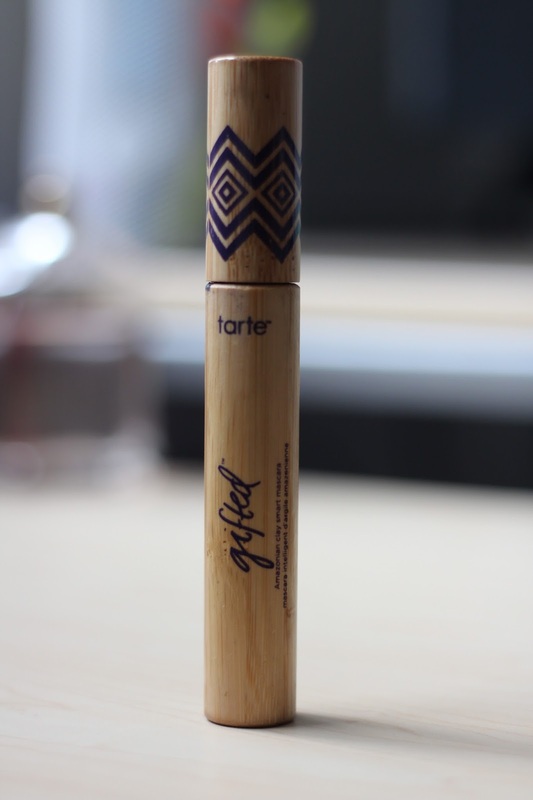 I have expressed my love for Tarte before, and this is my favorite mascara! Not only does it make my lashes look great, but it's supposed to be good for them as well. I actually do think that it helps the general health of your lashes, and helps to condition them. My eyelashes aren't picky at all when it comes to mascara, however, I found this one and I haven't felt the need to try any other brands since it works so well! It's also a huge plus that it's from Tarte, because as I have preached before, it is a great beauty brand and doesn't test on animals. The wooden package is also really cool, and environmentally friendly! Yay sustainability! Usually I get the makeup removing wipes from Burt's Bees, but this last time I didn't have time to run to Target, and I was in desperate need for something. I knew that the little District Market on campus had these Yes to Cucumbers facial wipes, so I thought they would be fine to grab. About a week into using these, my face started to get a small rash, and these wipes slightly burned while I used them. In the end, these really messed up my skin because I had a pretty big rash on my cheek, and they just generally stung my face and were pretty abrasive. I thought they would be really nice, because they smelled so fresh, but they were truly terrible for my skin, and it took it a good week to recover from them! I'm so glad I remembered to not recycle all of these containers after I used them, so I could do my first empties post and video! It felt oddly liberating to recycle all of them at once, and I also enjoyed reflecting back on what I like, wanted to change, and what products I didn't like at all after using them. 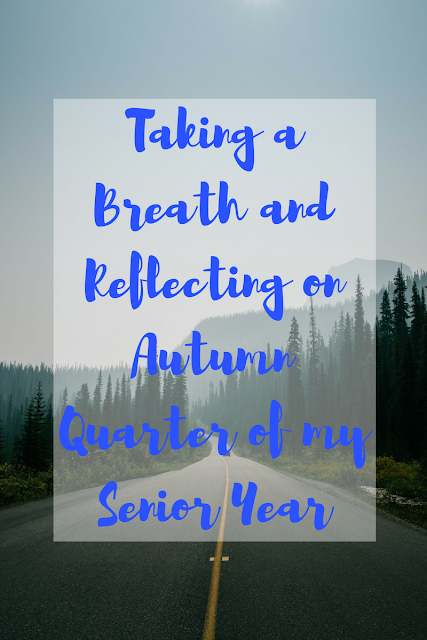 I really hope you guys enjoyed this post, and hopefully I'll remember to do more in the future! What products have you been using lately?